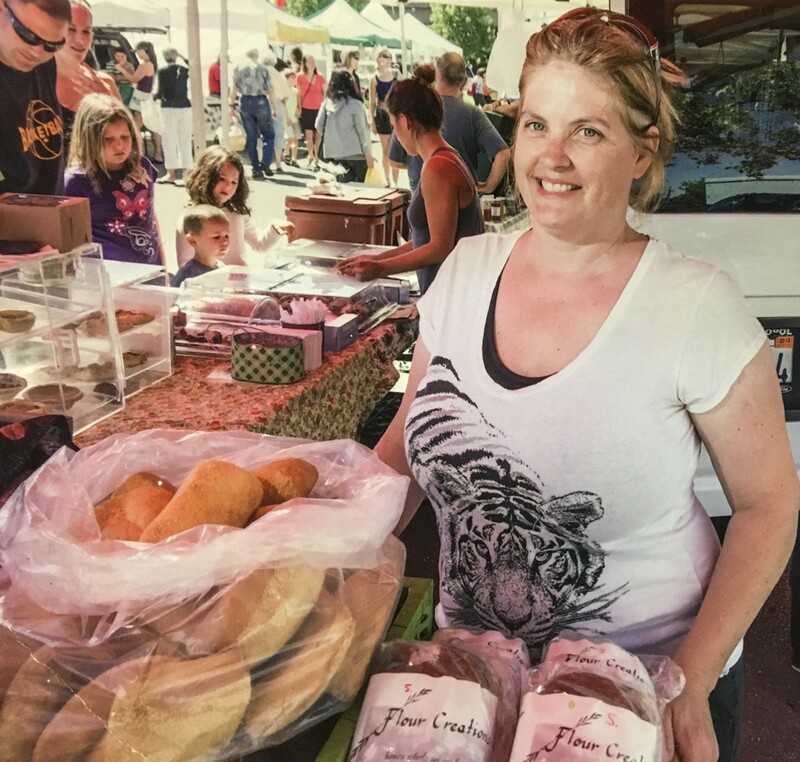 Hello there, my name is Nicole Rutkowski, a mother of two, and a baker at family owned Flour Creations Bakery in Cotati. Allow me to tell my story about how, on a late Sunday afternoon, Palm Drive Hospital (now the Sonoma West Medical Center) saved my life. Seve ral years ago, I was a vendor at the annual Celtic Festival at the Sebastopol Community Center. Near closing time, my baby had just been dropped off by their father to stay with me; I knew several vendors there who could help me with him if necessary. I started to pack up my baked goods when something very unexpected happened. I was picking up a crate of muffins when a bee flew down my throat! I was able to cough it up, but not before it stung me in my mouth! I was in immediate pain. The vendor next to me saw what had happened and screamed, “I need DRUGS!” And with these words, she had everyone’s attention. She began to yell for “Benadryl!” “Ice!” My face was beginning to swell at a fast pace, feeling tighter and tighter. The vendor handed me a piece of paper and asked me to write down my emergency contacts, then quickly flagged down a vehicle in the parking lot to take me to the hospital. Only a few minutes had gone by. My baby and I were loaded into a complete stranger’s vehicle. I was in shock, my baby screaming, and I was being raced to Palm Drive Hospital with horn honking, hazard lights on, driving the wrong way down Healdsburg Avenue. Upon arrival at the ER entrance, I was immediately seated and asked “What’s the emergency?” Not being able to talk, I lowered the towel full of ice from my face and I was rushed into the back room where I was given several shots in my arm to treat me for anaphylactic shock. I felt paralyzed by pain, the distress of my child, and the Doctor on-call telling me “This would be a helicopter ride in any other circumstance.” When the symptoms subsided some, I was able to convince the staff to bring me my baby, who’d been crying hysterically the entire time. I’m thankful for everyone’s quick thinking, and so grateful that there was a hospital nearby for treatment. It truly saved my life.